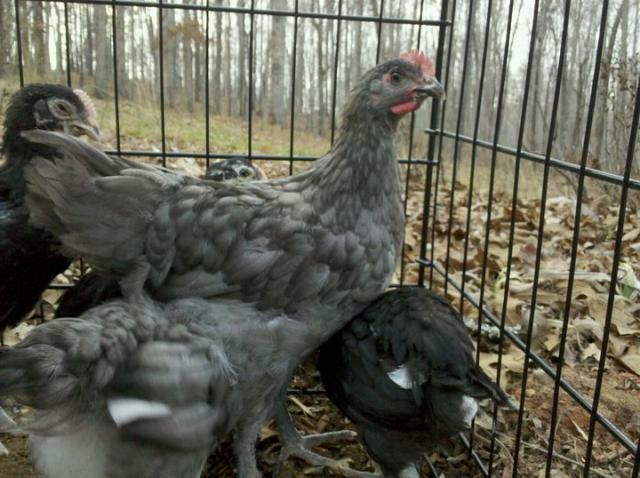 Sherman is a Blue Copper Marans. His ladies are 3 BCM and 1 Blue Copper. We lost the bird looking over Sherman's tail. It turned out to be a rooster and later died of an impacted crop. We just added three Easter Egger gals to our little flock. I'm looking forward to Olive Egger babies. They are blue, brown, and But Tugly. Guess who is who!